in view of recent debates on the global spread of English and its international lingua franca role’: how to choose a pronunciation model, which pronunciation features to teach, and how to teach them. The author proposes her own approach, a NELF approach to pronunciation—Native English as a Lingua Franca—which she says ‘combines some ideas of ELF and EFL, and can be viewed as a kind of compromise between them’ (p. 23). I was intrigued by what this might mean but, unfortunately, the books disappoints by failing to contribute any meaningful solutions to the question of what and how to teach pronunciation to students who use ELF. However, if you are looking for an exploration of some of these issues, check out my review of Szpyra-Kozłowska’s book in volume 70 issue 3 of OUP’s ELT Journal. 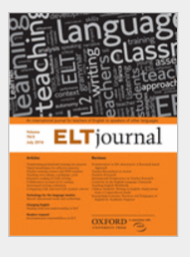 You can access a longer extract on the ELT Journal site here and we will be happy to share the full text on an individual basis. Contact us here. If you’re looking for audio resources featuring a wider variety of accents than is offered in most coursebooks, then YouTube is the place to go. This is the last in our series of five free downloadable lesson plans and worksheets based on YouTube clips, aimed at inspiring teachers to expose students to the full range of English accents in the world. The four previous posts have all featured individual lesson plans for teachers to take into class. I would like to complete the series with something a bit different, by sharing details of my new ‘online school’ based almost entirely on… YouTube. There are so many interesting videos on YouTube featuring speakers from around the world that I decided it is time to create a YouTube channel of my own, to put these videos in one place. I have created self-study worksheets and answer keys for each one, with listening comprehension and vocabulary exercises, and a section aimed at raising students’ awareness of the range of accents they might hear when using English as a Lingua Franca (which I have called International English on the videos because I think this is easier for students to understand). The lessons include a sub-titled extract from each video, with a transcript of the extract on the worksheet, and students are asked to repeat what the speaker says to try and notice any differences between their own pronunciation and the pronunciation of the speaker on the video. The My English Voice website is still in the final stages of design, but should be live in a few weeks, and this will be a place for students to search lessons by topic, level, and speakers’ first language backgrounds. …and when they finish, they can check their answers with an answer key like this. Feedback from students who have used the worksheets suggests that they need more motivation to actually complete them! For example, some kind of deadline. So, on Saturdays at 9.00 GMT, I am hosting YouTube live broadcast ‘chats’ where students can answer the discussion question at the end of the worksheets by typing their ideas into the chatbox. Students message me through the Facebook page with their email address, Skype ID, and their first language (e.g. French, Farsi, Japanese, etc.). After they have paid, via PayPal, I match them with another student and send them the Skype ID of their ‘speaking partner’ (of a different first language background). They also receive an email with the lesson materials and a link to the YouTube live broadcast event. During the lesson, students can type questions and messages into the chat box on YouTube live broadcast to communicate with the whole class, but the speaking is done just with their partner via Skype. After I have demonstrated the communication exercise (i.e. an information gap activity), students call their speaking partner on Skype while I countdown the time in the YouTube chatroom. When the time for the speaking activity has finished, students come back to the chatroom to share their experiences of doing the activity and reflect about how successfully they communicated. We work together as a group to think of ways they could improve. Then there is another speaking exercise in the same way again, using Skype, and then feedback via the YouTube chat box. I would love to hear any suggestions or feedback, and watch this space for the launch of the website in the next few weeks. Happy YouTubing! If you’re looking for audio resources featuring a wider variety of accents than is offered in most coursebooks, then YouTube is the place to go. This is the fourth in our series of five free downloadable lesson plans and worksheets based on YouTube clips, aimed at inspiring teachers to expose students to the full range of English accents in the world. The lessons are suitable for Pre-intermediate level classes and above, although the audio materials could be used with Elementary classes by adapting the tasks. The discussion questions related to accents and pronunciation could also be done in students’ first language if these are too challenging at their level. The materials could be used with adult or teen classes. This one-and-a-half-minute video advertises Birkbeck, University of London, which specialises in evening university study, both part-time and full-time courses. There are five speakers who all answer the same question: “Why did you choose Birkbeck?”. The speakers’ L1 backgrounds are not given, but universities are often international environments*, and there are a range of accents in the clip. Students predict the reasons someone might give for choosing a particular university. Students listen and compare their predictions to what the speakers say. Then they listen again to match photos of the speakers to sentences explaining reasons for choosing Birkbeck. Students complete a dictation exercise by listening closely to just one of the speakers. They order sentences based on what they hear. Students imagine they are going (back) to university and visiting an open day. They brainstorm ten questions they would ask to help them choose which university to attend. Finally, students focus on the range of accents in the video and brainstorm ways to avoid / deal with communication breakdown. You can download the student worksheet here and the teacher’s notes here. If you’re looking for audio resources featuring a wider variety of accents than is offered in most coursebooks, then YouTube is the place to go. This is the third in our series of five free downloadable lesson plans and worksheets based on YouTube clips, aimed at inspiring teachers to expose students to the full range of English accents in the world. SocialGiver is a social enterprise based in Thailand. The founder, Arch Wongchindawest is a One Young World Ambassador. In this 2 minute video, he explains how SocialGiver works and he talks about why One Young World is important. Students discuss what they think a social enterprise is. Students complete a short gapped paragraph about the speaker’s background. Students listen and answer a gist question, and then true or false questions. Students discuss whether SocialGiver is a good idea, and what kind of social enterprise they would set up in their own community. Finally, students discuss whether they found the (Thai L1) speaker’s pronunciation clear and easy to understand. The aim is to raise students’ awareness that speakers with a different accent to your own can still be easy to understand, even if you are not familiar with that accent. Uniting youth against corruption by Sasaenia Paul Oluwabunmi, the Director of Operations of Salvage Africa, an NGO based in Nigeria. Solar schoolbags powering education in South Africa by Thato Kgatlhanye, co-founder of “Rethaka” the social startup behind the Repurpose Schoolbag. #CallonCOP video by One Young World delegate Saida Ibrahimava from Belarus, who addresses her #CallonCop speech to President Alexander Lukashenko and highlights how climate change has led to flooding, land degradation, reduced biodiversity and a decline in public health in Belarus. If you’re looking for audio resources featuring a wider variety of accents than is offered in most coursebooks, then YouTube is the place to go. This is the second in our series of five free downloadable lesson plans and worksheets based on YouTube clips, aimed at inspiring teachers to expose students to the full range of English accents in the world. In this 2 minute BBC video, Chinese students talk about living in India, and Indian students talk about living in China. Indian people help each other a lot. Indian people don’t worry about being late. Indian cities are less developed than they imagined. China is safe for travelling. China’s economic growth is amazing. There are a lot of skyscrapers in China. Students discuss what they know about China and India. Students listen and answer a gist question. Students listen again and complete gapped sentences. Students discuss their own experiences and preferences related to travel. Finally, students listen again and focus on the students’ accents. They discuss questions aimed at raising their awareness of: a) the variety of different accents in the world, and b) the responsibility of the listener to develop their ability to understand different accents. If you’re looking for audio resources featuring a wider variety of accents than is offered in most coursebooks, then YouTube is the place to go. This is the first in our series of five free downloadable lesson plans and worksheets based on YouTube clips, aimed at inspiring teachers to expose students to the full range of English accents in the world. Students begin by only listening to the first minute (Ouissal’s introduction) and answering questions about this. Students predict the tips that they think Ouissal will give. Students listen and take notes about each tip, with the teacher stopping the audio after each one for students to compare their notes. Students discuss their own own ideas about how to learn English. Finally, students listen again and focus on Ouissal’s pronunciation of words beginning with ‘th’ and compare her pronunciation to their own. They discuss questions aimed at raising their awareness of the variety of different accents in the world, and that ‘different’ does not necessarily mean ‘less clear’. When I heard that a small group of teens from my school in Thailand were going on an ASEAN exchange to Indonesia and wanted help preparing to use English in that context, I jumped at the chance to talk to them about ELF. 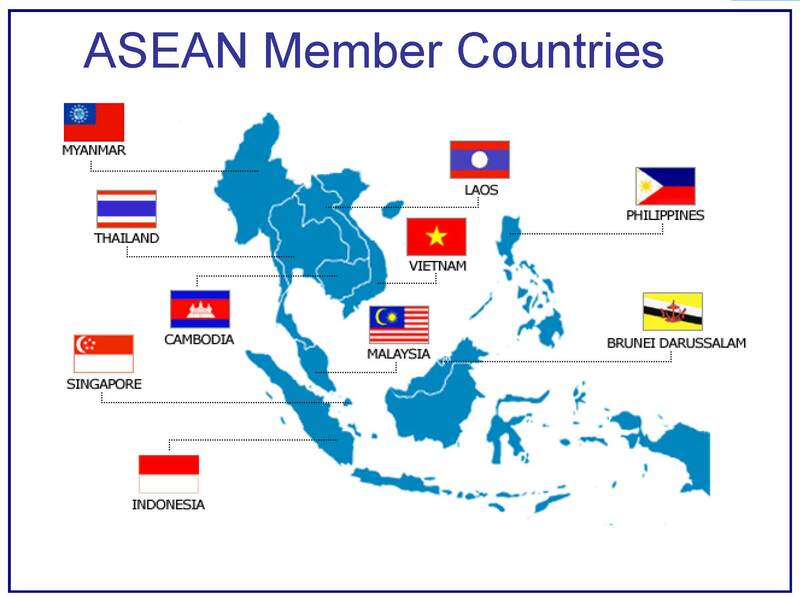 ASEAN stands for Association of Southeast Asian Nations. The member states are Indonesia, Thailand, Malaysia, the Philippines, Singapore, Brunei, Cambodia, Laos, Myanmar, and Vietnam. There has been increasing focus on teaching children about ASEAN because the countries have forged closer ties in 2015 with preparations for a common market (the ASEAN Economic Community, or AEC). To raise students’ awareness of the main differences between their own accents and the accents they might hear in Indonesia, and to build confidence interrupting and asking for clarification in the event of not understanding someone. Pronounce the following words: Aunt, Roof, Route, Theater, Iron, Salmon, Caramel, Fire, Water, New Orleans, Pecan, Both, Again, Probably, Alabama, Lawyer, Coupon, Mayonnaise, Pajamas, Caught, Naturally, Aluminium, GIF, Tumblr, Crackerjack, Doorknob, Envelope, GPOY. Would you like to be a wizard or a vampire? End the audio post by saying any THREE words you want. I used this particular clip and this handout of the Tumblr Accent Challenge. How was this used in the workshop? After watching the video, the students picked up on some quite specific points, e.g. the use of /d/ in ‘the’, and other comments were more general like ‘they go up and down a lot’. It was also interesting because the speakers in the video answer the question ‘Do you think you have an accent?’ with ‘No’, which the students thought was funny, because to them the Indonesia teenagers had quite distinctive accents. They said they’d never heard Indonesian accents before. This was a useful springboard into talking about the students’ own pronunciation because it helped them to appreciate how people in Indonesia might feel about their Thai accents. I gave them a list of pronunciation features from the Lingua Franca Core that often affects the intelligibility of Thai L1 speakers’ English. You can download the handout here and adapt it as necessary. I asked the students to rate how clearly they think they can pronounce each of the features. In doing so, they were saying the words aloud and practicing them at the same time. Then we focused on the areas they felt they wanted more help with. We also talked about the importance of being aware that these features could lead to breakdown in communication, so you can choose different words if it seems that one particular word is not clear to your listener. Then we worked on interrupting people to say you don’t understand. First, we brainstormed phrases you could use (there’s space to do this at the bottom of the handout). This was unproblematic because knowing what to say is not the problem – actually saying it is another thing! Interrupting someone is culturally quite uncomfortable for Thai people to do, so it took a lot of practice. I spoke too quickly and the nominated student had to interrupt and ask me to speak slower. Then we also tried asking someone to explain one specific word they couldn’t understand. So I deliberately spoke about a topic they understood but inserted one difficult word. The students responded very enthusiastically and I could see some real ‘lightbulb’ moments. These students were aged 16 and 17, so much older than I currently teach, and therefore able to discuss language variation and issues surrounding accents in a mature way. There were only seven of them and they had been selected to go on the trip. This was quite a different experience to my usual teaching, which is far more limited by time, large numbers of students, and exams. Still, it was an exciting project to be a part of, very briefly, because this is ELF in action. Maybe next time they’ll take me with them… !